Fayette E-911 Director Bernard “Buster” Brown. 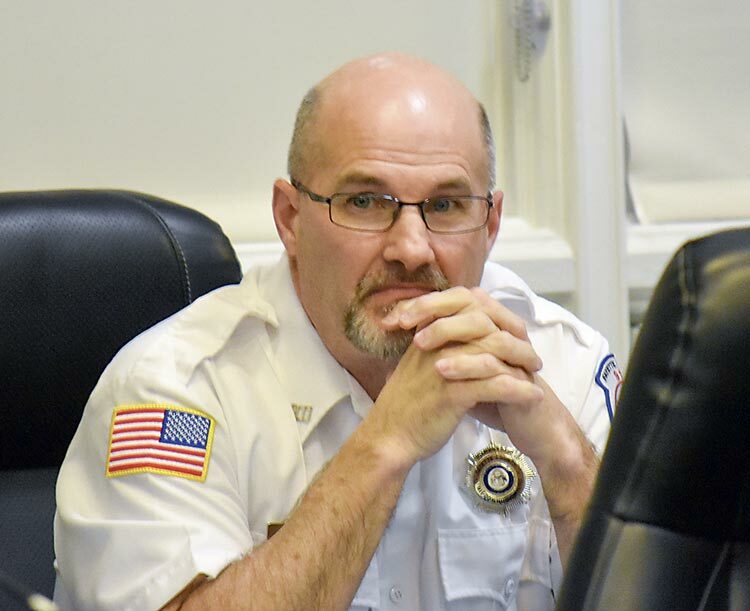 Fayette County E-911 Director Bernard “Buster” Brown has resigned after a dispute over staffing policy went public, the second time this year that Brown has been the target of staff complaints. A “secondary on-call” directive he initiated this month drew objections from staffers and some spouses. County Administrator Steve Rapson requested the directive be put on hold for fine tuning. The “secondary on-call” scheduling change on Oct. 5 had to do with off-duty staffers being required to be ready at a moment’s notice, day or night, to come back into work to fill a shift. 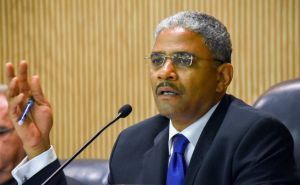 Rapson on Oct. 8 said Brown had resigned his position, saying the resignation was in the best interest of Fayette County and his family. Brown was contacted via text messaging Monday, but declined to comment on his resignation. Mical Heminger, spouse of an E-911 employee who was not involved in any of the communications, said the recently implemented secondary on-call directive was put in place because non-scheduled E-911 employees questioned having to come into work on non-scheduled days, with a refusal potentially leading to their being fired. Heminger said he has been contacted by four anonymous E-911 employees with concerns about the secondary on-call directive. Heminger in an Oct. 5 Facebook post said that on Oct. 3, “My wife was not on call, but she received a call two hours before shift change and was told point blank, you have to come in because we said so, your job is on the line. This was at 4 p.m. Tuesday, and they needed her to be at work (30 minutes away) by 6 p.m. I was out of town on a business trip, and she was the only one home to care for the kids, so she told them no, I cannot make it as I have no child care. Fayette County Administrator Steve Rapson (L) and Commissioner Steve Brown. File photos. In an Oct. 7 letter from County Administrator Rapson to Heminger and E-911 supervisor Amber Smith, Rapson said, “Thanks for taking the time to express your concerns. As we discussed on Friday, I requested this directive for a secondary on-call be placed on hold and a solution be further evaluated utilizing the entire operational staff on a proper course of action — if that hasn’t been communicated yet — then Amber will do that today. Rapson said the E-911 center currently has five employees in training and three vacancies. Brown has been no stranger to controversy as director of the E-911 center. He received a disciplinary action pertaining to his interactions with some E-911 staff in February 2017. 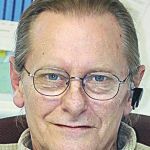 It was in early 2018 at County Commission meetings, with issues surfacing by way of Commissioner Steve Brown and others, that current and former E-911 employees brought numerous complaints about Buster Brown and his way of managing staff. The commission on a 3-2 vote said there was no need for an outside investigation of Buster Brown and personnel issues at the E-911 center. Fayette County Commissioner Charles Rousseau. Staff photo. 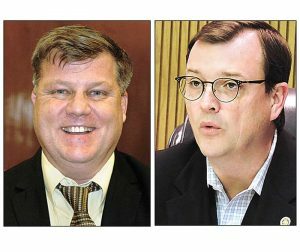 Commissioners Brown and Charles Rousseau wanted an outside investigation of the numerous complaints, but commissioners Charles Oddo, Randy Ognio and Eric Maxwell refused to go along with an outside probe. “There has been a lot of concern about the E-911 Call Center due to an excessive turnover rate,” Commissioner Brown was quoted in a February story about E-911 troubles. “Imagine the shock when the commissioners discovered that the harmful activity within the department, a Human Resources investigation, terminations and the exodus of staff over a one-year period was all covered up and withheld from our knowledge,” Brown said at the time. “I am deeply concerned that we have government officials actively engaged in cover-ups of government abuse,” Brown said last February. 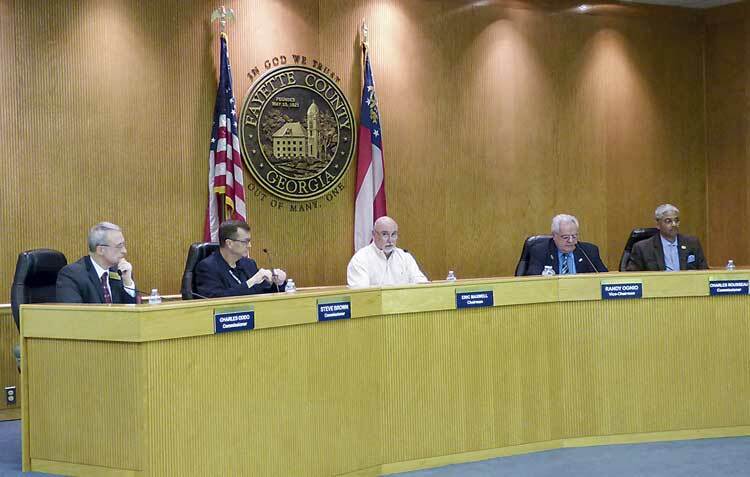 Fayette County Commission members at the March 8 meeting included, from left, commissioners Chuck Oddo and Steve Brown, Chairman Eric Maxwell, and commissioners Randy Ognio and Charles Rousseau. Photo/Ben Nelms.